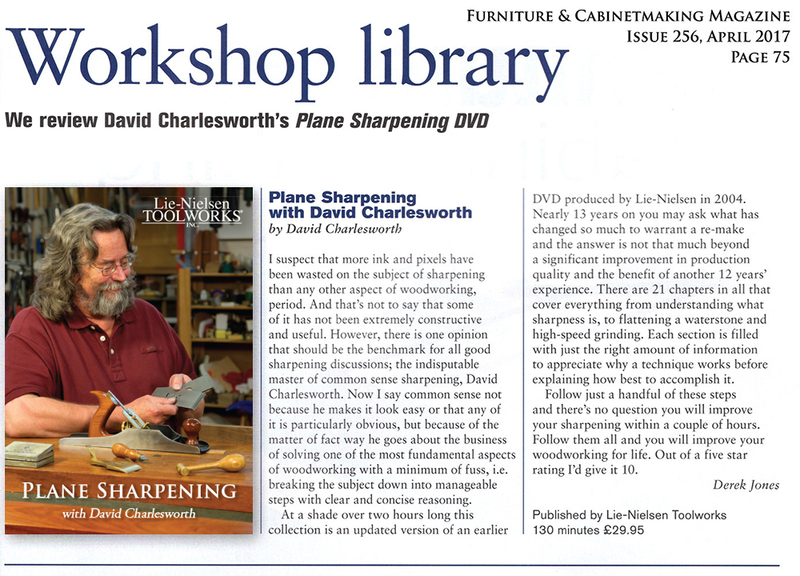 This video is an updated version of David’s first DVD on Plane Sharpening, originally released in 2004. 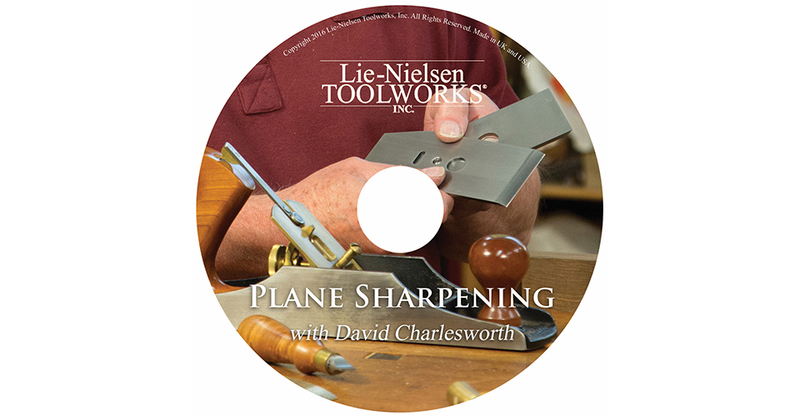 Filmed at his shop in Devon, England, this new version includes new material on David’s simple techniques for sharpening plane blades, preparing the front edge of chipbreakers, and precise cambering. 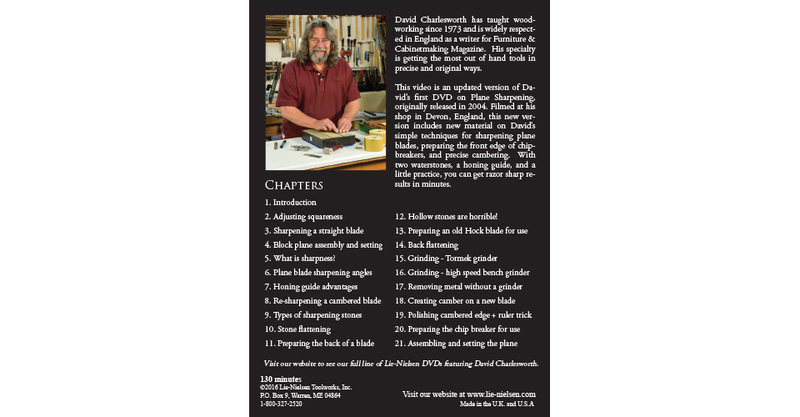 With two waterstones, a honing guide, and a little practice, you can get razor sharp results in minutes. 12. Hollow stones are horrible! 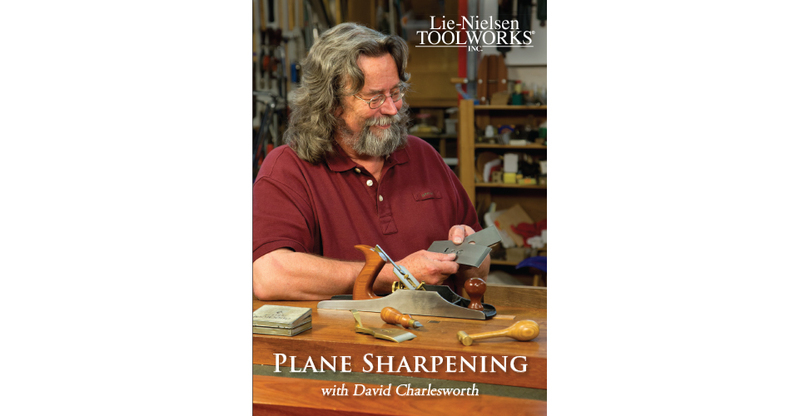 130 minutes, Lie-Nielsen Toolworks Productions, 2016.